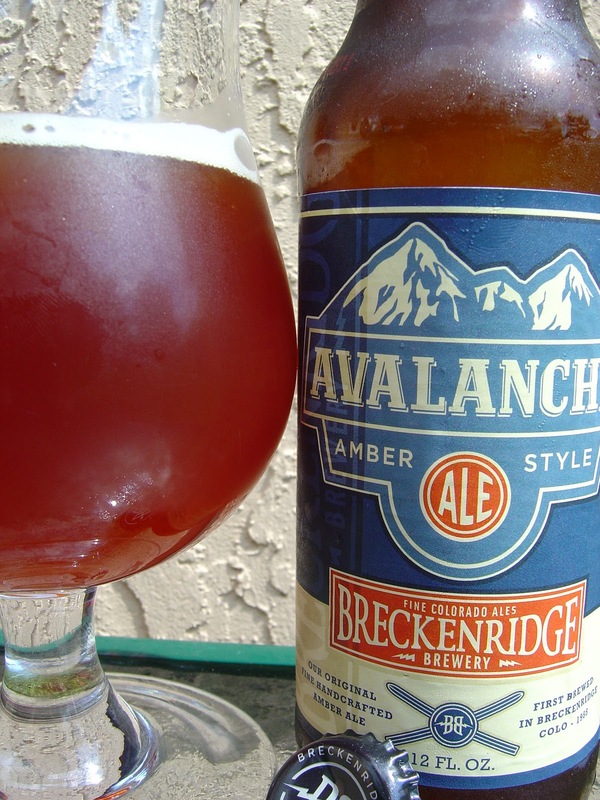 Today I'm drinking Avalanche Amber Ale brewed by Breckenridge Brewery in Denver, Colorado. That website wasn't working one minute ago, but I'm sure it's the correct one. Probably just temporary. Fruity, dirty, grain and bread aroma. Sweet and malty to start, with caramel and pear fruity flavors. Plenty of sweet grain and bread are secondary flavors. As the beer progresses, you start to taste some band-aid, just a little off. Very flat. Strange dirty fruit left behind when it's all gone. Wasn't horrible, just average and boring.